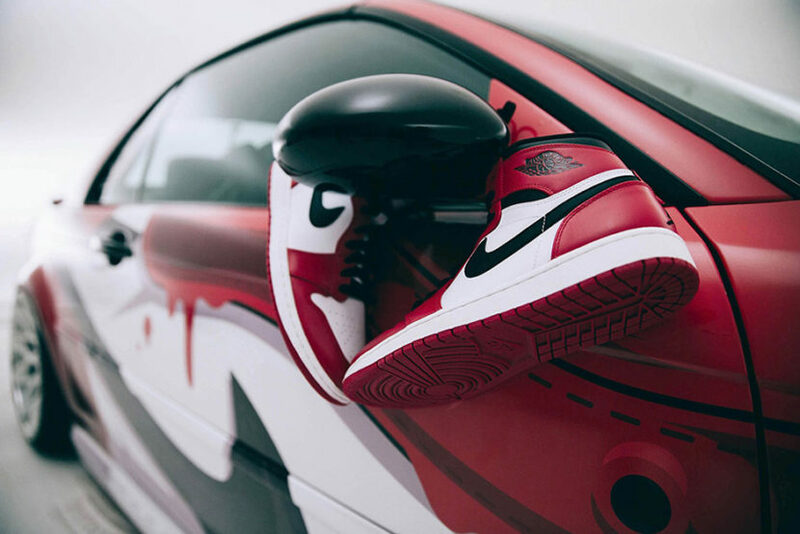 One of the most iconic sneakers of our generation is the Nike Air Jordan 1 Chicago, a high-top made famous by Michael Jordan during his golden years in Chicago. 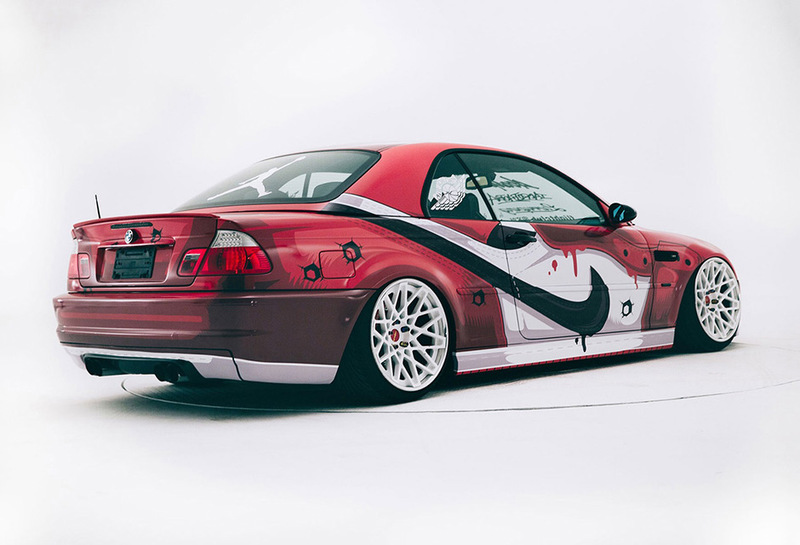 The sneaker has been placed high on the list of any sneaker collection and it’s resale value has increased over time. 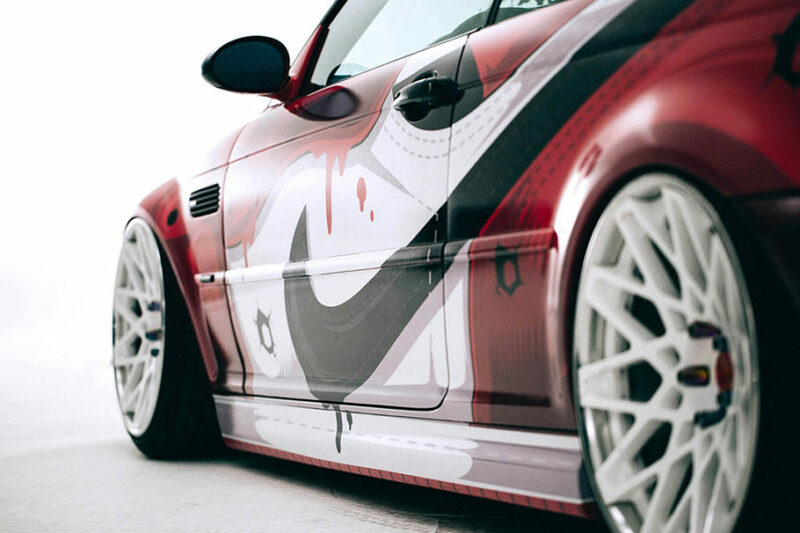 The Jordan 1 Chicago stands out with its combination of red, black and white, easily recognizable but all Chicago Bulls fans and equally by sneakerheads. 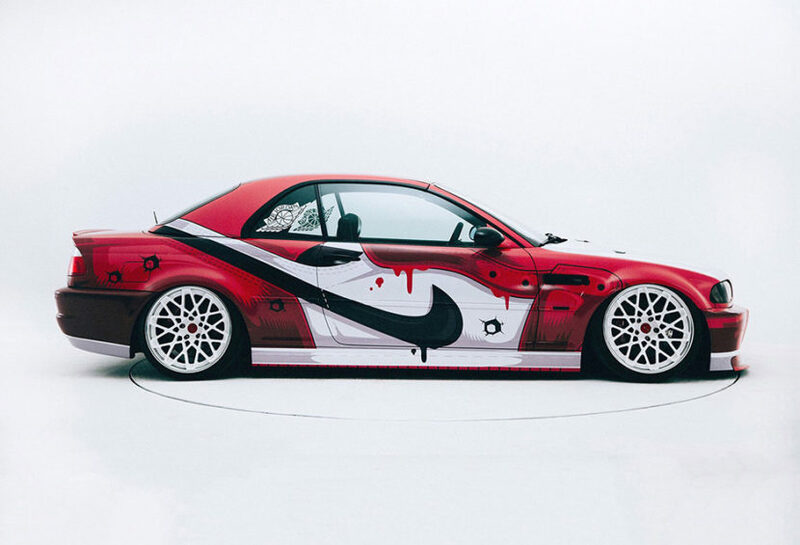 So it comes as no surprise that Beijing-based graffiti crew 400ML is taking its love of sneakers to greater heights with this BMW M3 designed after the Air Jordan 1. 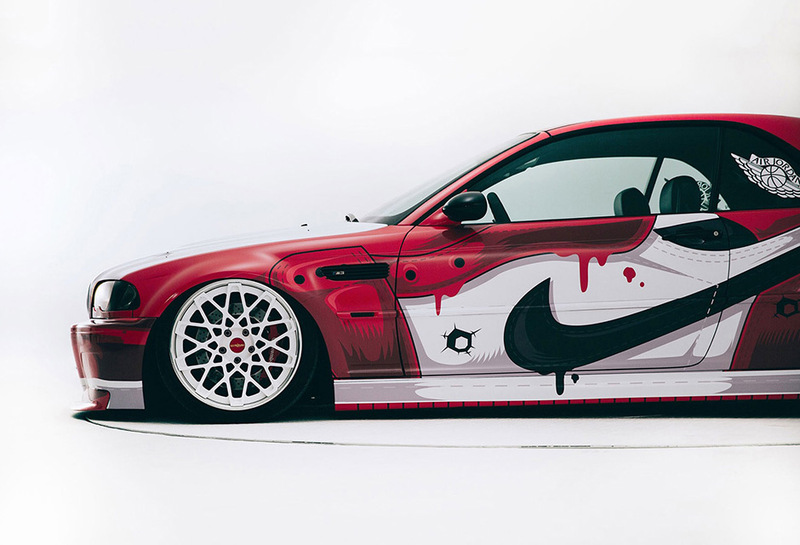 Featuring near spot-on details of the first-ever Air Jordan shoe in the iconic “Chicago” colorway as well as the crew’s signature detailing such as the melting paint and bullet holes, this BMW M3 was created by 400ML and car modifier brand iAcro for a special exhibit at Beijing The Palace Square from June 14th through the 18th. 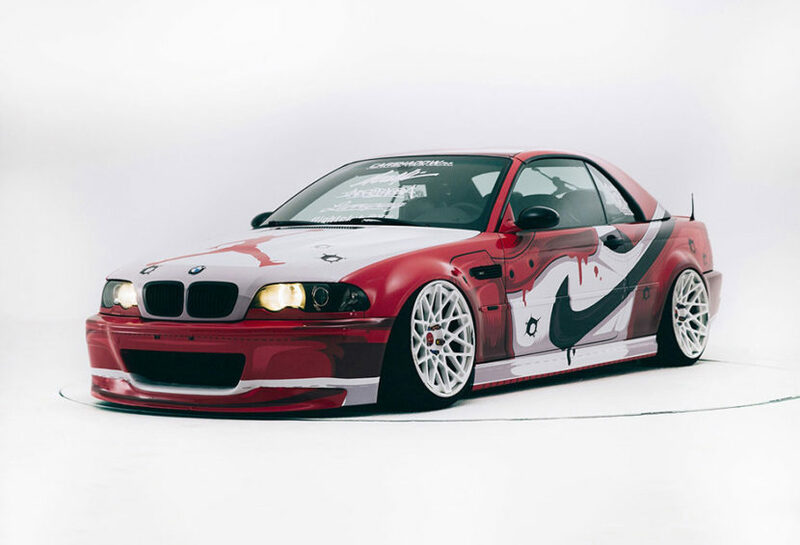 The fact that they used the E46 M3 as the base car – another icon in our opinion – makes things even more exciting and the end result is flashy, yet unique and interesting.